The bridge at Batesford, which was built in 1859, is the third bridge to be built on that site. 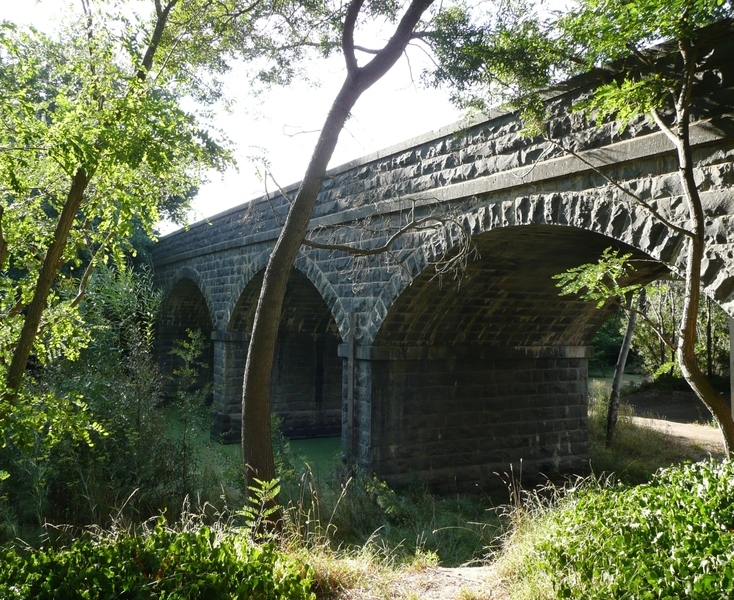 It is constructed of local bluestone and crosses the Moorabool River in five segmentally arched spans. It has an integral parapet walls and splayed wing walls. The design of the structure is attributed to engineers from the Victorian Government Board of Land and Works. The bridge was constructed by David Barry. The Bridge over Moorabool River, Batesford is of architectural and historical significance to Victoria. 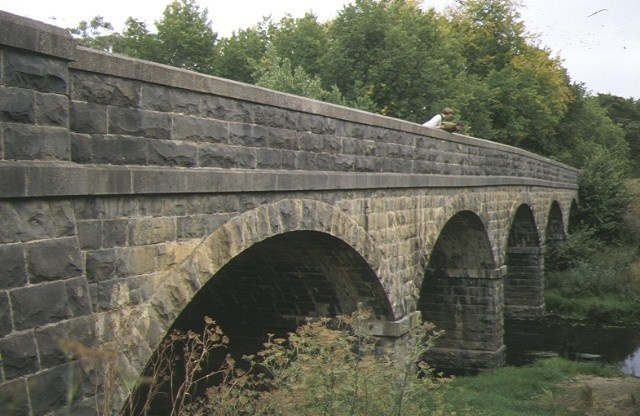 The bridge at Batesford is amongst the earliest and longest stone arch road bridges in the state. The spans of the bridge are unusual in not being fully centered with a keystone at the centre of each arch. It is an essentially intact example of a bridge structure constructed of locally available bluestone, erected during the goldrush period of the 1850's. The bridge played a major role on the main route connecting Ballarat and Geelong during the goldrush period. Historic Building No. 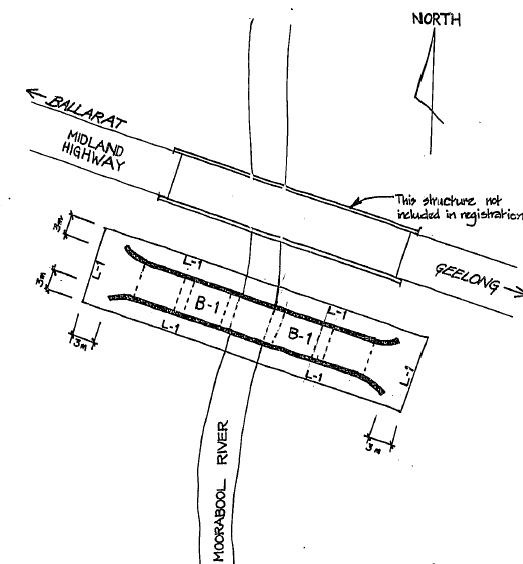 1115, Bridge Over Moorabool River, former Midland Highway, Batesford, City of Greater Geelong. 1. 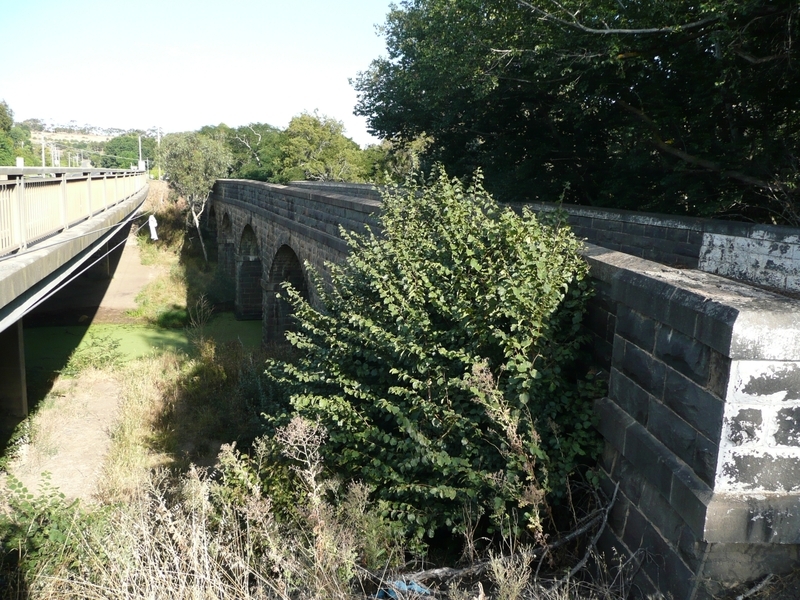 All of the structure known as Bridge over Moorabool River, Batesford marked B-1 on Plan 601026 endorsed by the Chairperson, Historic Buildings Council and held by the Director, Historic Buildings Council. 2. An area of land 3 metres surrounding the structure marked L-1on Plan 601026 endorsed by the Chairperson, Historic Buildings Council and held by the Director, Historic Buildings Council.